Former Bubulo West Member of Parliament, Tonny Nsubuga Kipoi has secretly been transferred from Luzira prison to Makindye military prison, the Nile Post has learnt. In June, the General Court Martial in Makindye ordered for the transfer of the embattled legislator from Makindye military prison to Luzira after a habeas corpus application against the Attorney General, DPP, Chief of Defence Forces (CDF) and the commanding officer, Makindye Military barracks in the Civil Division of the High Court had been applied for by Kipoi’s lawyer, rtd.Maj.Ronald Iduuli. “We have been reliably informed that Kipoi has a civil suit pending before the magistrate’s court in Nakawa and on various occasions, the military police administration has lacked logistics to transport him to Nakawa to attend his case. We accordingly hereby transfer Kipoi from military police quarter guard to Luzira government prison” said the court chairman, Lt. Gen. Andrew Guti in a ruling dated June 8. However, according to lawyer Iduuli, when he went to Luzira to visit his client on Friday, he was told that the former legislator was not in their detention. “I was told that the production warrant to take him to High Court on October 17 was produced by the military police and they never returned him,”Iduuli told the Nile Post. Early this month, Justice Musa Ssekaana ordered government to produce Kipoi for court to decide on the application by his lawyer to have his trial before the army court stopped. However, Iduuli said he had been told that on October 17, when military police presented a production warrant, the prisoner was given but was never returned. Iduuli told this website that on inquiry, he was told by a source in the military who preferred anonymity that his client had been returned to Makindye military prison. “It is very unfortunate because he was remanded to Luzira and not Makindye. Court has never ordered that he is returned to Makindye. Military detention of civilians is illegal and I wonder who gave the orders of transferring him to military prison,”Iduuli said. When asked whether he would apply to have Kipoi transferred again from Makindye to Luzira, Kipoi said it would be a waste of time. However, the Nile Post has learnt that the General Court Martial ordered for Kipoi’s transfer from Luzira to Makindye but this website could not readily confirm the army court’s order. When contacted for a comment, the deputy army spokesperson, Lt.Col.Deo Akiiki distanced himself from the issue insisting it is a matter in court. 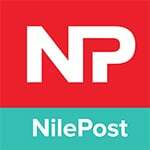 “I am not going to comment on the issue which is in courts of law to avoid prejudice,”Lt.Col.Akiiki told the Nile Post. This is not the first time Kipoi is transferred from Luzira to Makindye military prison by the army. In March this year, the army court ordered for Kipoi’s transfer from Luzira to Makindye over what was termed as security reasons following a request by the army’s prosecution team. 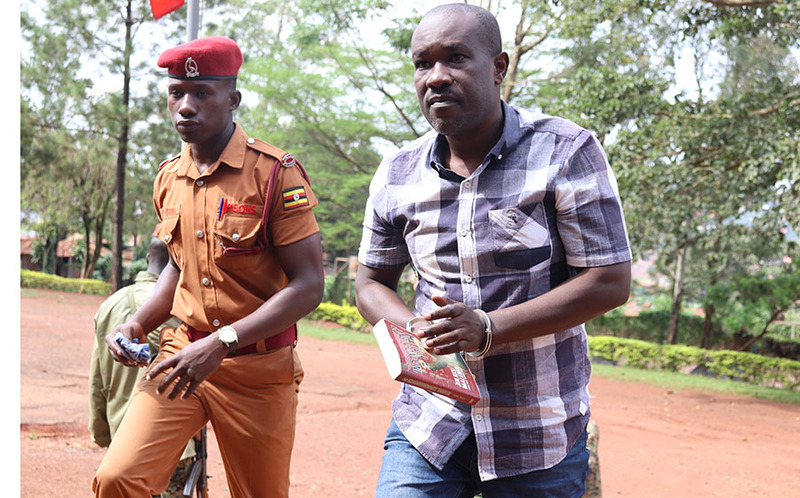 “We have received intelligence information that his stay in Luzira is not secure and for his own security, we pray that he is transferred from Luzira to Makindye until the case comes up for hearing, Maj.Mugisha asked court. 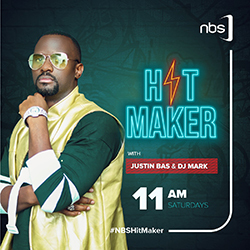 The court would later order for his transfer to Makindye. The embattled former Bubulo West legislator is accused together with UPDF soldiers including Sgt. Yunus Lemeriga, Cpl Rogers Mweru, Sgt Adams Mawa, Sgt Albino Okeng and Pte Dodola Ijosiga all for offences related to security, contrary to section 130(i) of the UPDF Act 2005. Prosecution alleges the group and others still at large between November 2012 and December 2013 convened meetings in areas of Kampala, Wakiso, Masaka, Jinja, Nakasongola and Ntoroko with an intent to overthrow government. They are accused of organising meetings, mobilising funds, acquiring firearms and military training in the Eastern Democratic Republic of Congo and recruited people into Allied Democratic Forces ranks with an aim of overthrowing government. In 2014, the General Court Martial in Makindye issued an arrest warrant over Kipoi after the treason charges in the civil court had been transferred to the army court. In the same year, parliament threw him out of the August house for missing 15 sittings without justifying his absence. Kipoi was early this year arrested in Botswana before being extradited back to Uganda.